Please show me how to integrate Live chat to CoursePress Pro. What do you mean by integration? Both plugins are not integrated because they work separately - but they of course can work on the same site. Please describe what do you want to achieve and then I can see what can be done. I see it at https://premium.wpmudev.org/project/coursepress-pro/ as http://i.imgur.com/exvj1Y3.png . I hope you had a wonderful day and Merry Christmas. Well, Chat can be integrated with CoursePress Pro but you can not *directly* integrate them. Your teachers can initiate private in-corner chats with their online friends via the toolbar. Note that this requires either BuddyPress or the WPMU DEV Friends plugin. 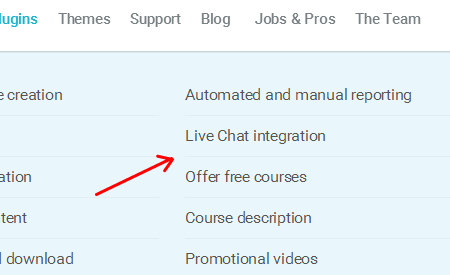 So for integrating Chat with CoursePress Pro, you have to install either BuddyPress or WPMU DEV Friends plugin, Teacher and Students have to become online friends through these plugins, then they can chat regarding their courses. I've also found a code block from @Hoang Ngo which enables automatically adding enrolled students in the friend list of the course instructor here: https://premium.wpmudev.org/forums/topic/coursepress-private-live-chat-with-teacher#post-859539 You can try it out.